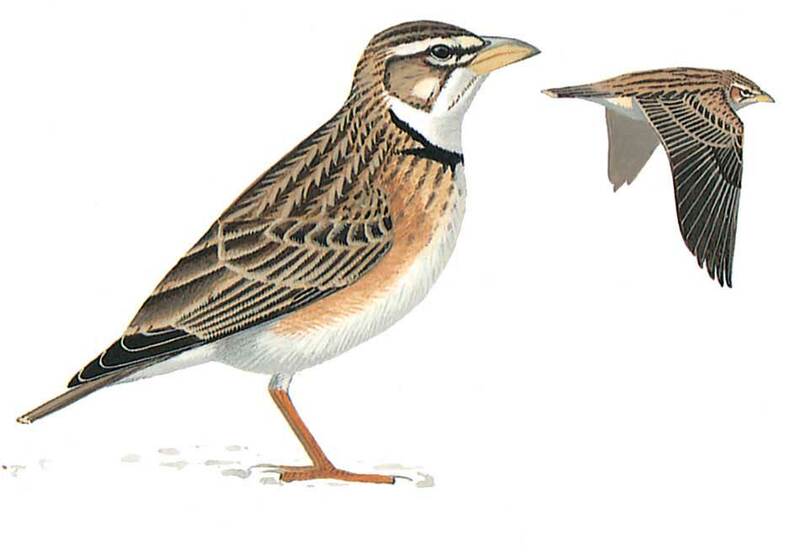 A large heavy-billed lark with a short tail and longish wings. Has a contrasting head pattern with large yellowish bill, black patches on lower throat, and a white superciium. In flight has dull grey-brown underwing with no white trailing edge; has white-tipped tail while outer feathers are buff-brown.